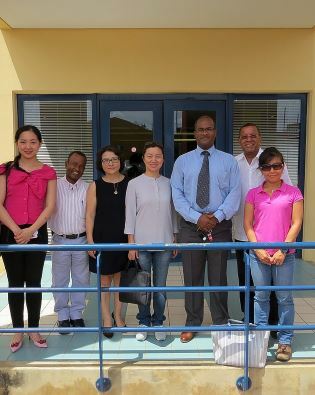 WILLEMSTAD - The vocational school of Curaçao, FEFFIK received the visit of a delegation of China’s State Company Guangdong Zhenrong Energy (GZE). After the welcome speech of the vice president of the school Paul de Rooy, the interim director Ludwig Alberto gave a presentation about the vocational school. Afterwards, the delegation received a tour where they had the opportunity to see the various departments and facilities of the school.